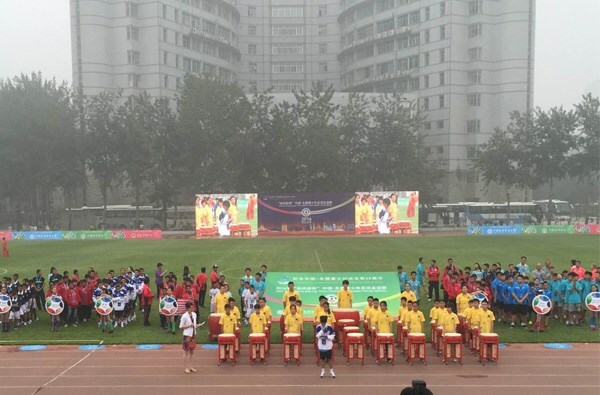 Beijing (VNA) – The "Soong Ching Ling Cup" China-ASEAN youth soccer tournament began in Qinhuangdao city in the northeast of China on August 7. The event was attended by Vice Chairperson of the Chinese People's Political Consultative Conference, Wang Jiarui, who is also president of the Soong Ching Ling Cup, ASEAN diplomats, football teams from Vietnam, Indonesia, Malaysia, the Philippines, Thailand, Laos, Myanmar and Cambodia. Addressing the event, Vice Chairman of the Soong Ching Ling Cup Fund Hang Yuanxiang expressed his hope to strengthen friendship among youths from the nations on the basis of the friendship and cooperation between China and ASEAN. Cultural exchanges will be conducted during the five-day tournament.